The children's playing field, located on The Green, has been owned by the parish council for 50 years and the council is responsible for its maintenance. 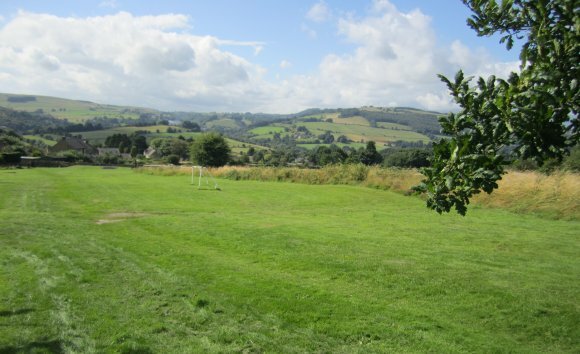 There is a public footpath that leads to Curbar Edge and surrounding areas running through the centre of the field. We would respectfully ask visitors to observe the countryside code (eg close gates, collect and dispose of dog waste, ensure dogs are on leads). The playing field is mowed regularly by a contractor. The playing field is inspected weekly and ROSPA carries out a detailed inspection once a year.